Their Excellencies the Right Honourable Michaëlle Jean, Governor General of Canada, and her husband, Mr. Jean-Daniel Lafond, met with representatives of the Organization of American States (OAS) in the Adjacency Zone between Guatemala and Belize, who promote peace and cooperation between Guatemalans and Belizeans. Their Excellencies recognized the work being done by the OAS to promote peace and co-operation between Guatemalans and Belizeans. They expressed Canada's support towards the peaceful resolution of the territorial dispute between the two countries. Their Excellencies also discussed with youths who use the arts as a tool to promote a culture of peace. Located between the towns of Benque Viejo, Belize, and Melchor de Mencos, Guatemala, the Office of the Secretary to the OAS was established to support the implementation of the Confidence-Building Measures Agreement, signed by both nations in 2003, and renewed and expanded in 2005. One of the most important tasks of this special mission is that of verification, investigation and follow-up on events or incidents occurring within the zone. Read the blog from the Director of the Office of the Secretary to the OAS Mr. Miguel Angel Trinidad posted on http://www.citizenvoices.gg.ca/en/blogs/rideau_hall/336. 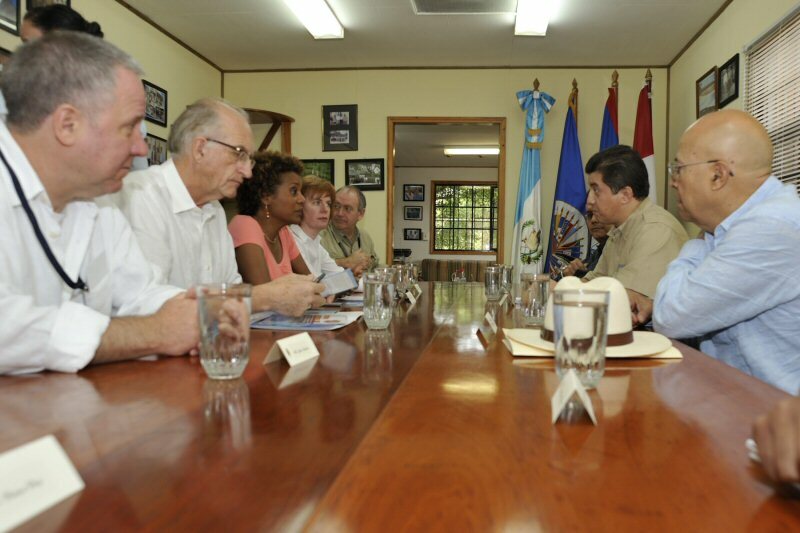 You will find attached a photo of Their Excellencies' meeting with representatives of the Organization of American States in the Adjacency Zone between Guatemala and Belize. Video of the meeting will be available later today on the FTP site http://media.gg.ca.